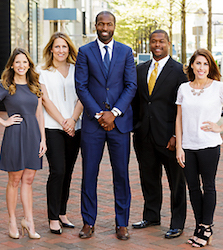 The District’s unique real estate marketplace can make finding a starter home more difficult for some people than in other places in the country. 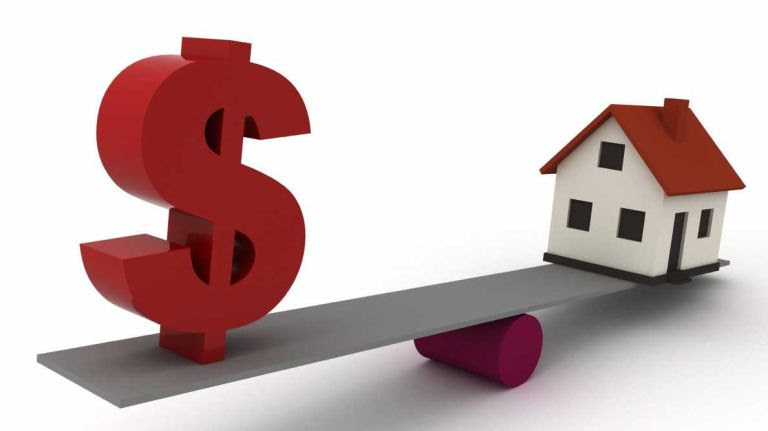 A starter home for our purposes is defined as a home that costs less than $560,000 (well above the national average, mind you), is between 1,500 and 1,800 square feet in size (remember DC only measures square footage for ground-floor levels and above), and has at least two bedrooms. Only about 5 percent of homes in DC are considered starter homes by this measure. 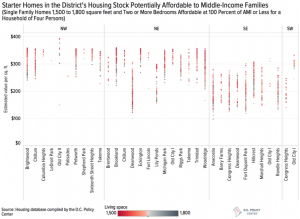 The Area Median Income or AMI in the District is $110,300 and a qualifying starter home should be affordable to families at or below that income level. A majority (58 percent) of DC families fall below this threshold. 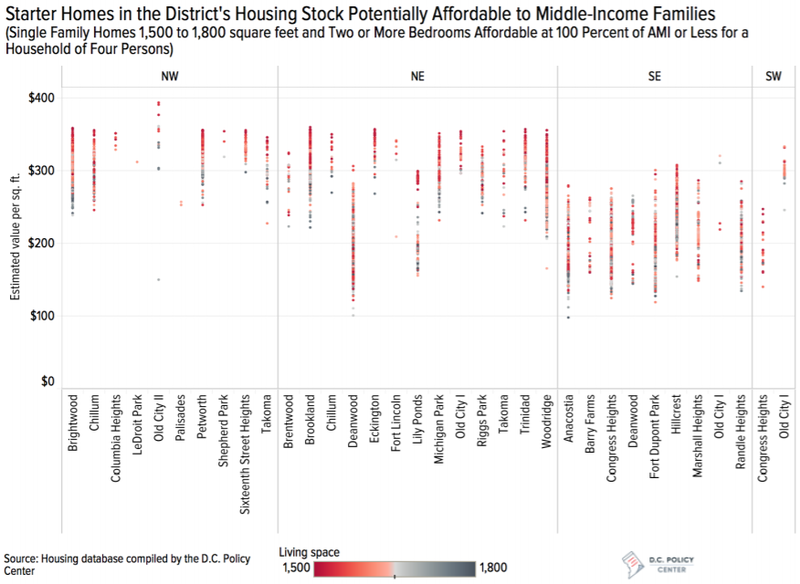 Only 11 percent of the 4,764 starter homes in DC are affordable to folks earning up to 80 percent of AMI and only 3 percent are affordable to those earning up to 60 percent of AMI. As it stands now, most of the homes that qualify as starter homes are east of the Anacostia River. However, if we’re also looking at condos, it opens up the geographic range a little. In fact, the overwhelming majority (75 percent) of these types of homes can be found in just seven neighborhoods: Deanwood, Brookland, Hillcrest, Petworth, Woodridge, Brightwood, and Congress Heights. Now, I realize that was a whole bunch of data that may make it seem like finding a starter home is but a pipe dream. The good news is that the city has some great first-time homebuyer programs. The only way to find out if buying a home is right for you is to talk to a qualified lender. If you don’t know any, I sure do! Just shoot me an email. And do not fear, there are still areas in DC where buying is still cheaper than renting!